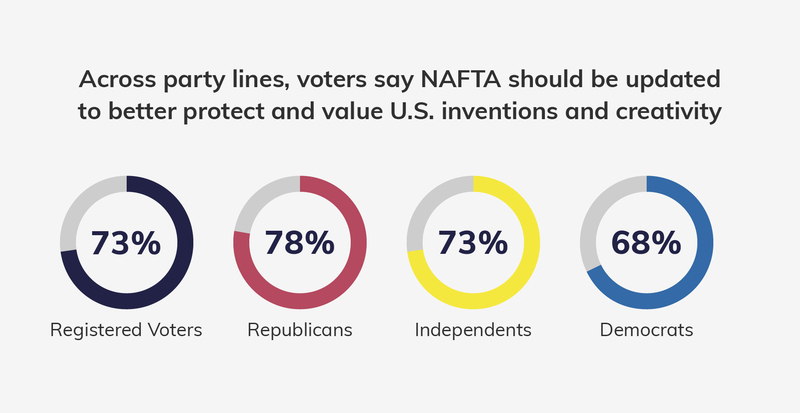 Three in four voters (73 percent) believe that NAFTA should be updated to better protect and value U.S. inventions and creativity, according to a poll released today by ACTION for Trade, a coalition of trade associations, technology companies, and creative organizations. 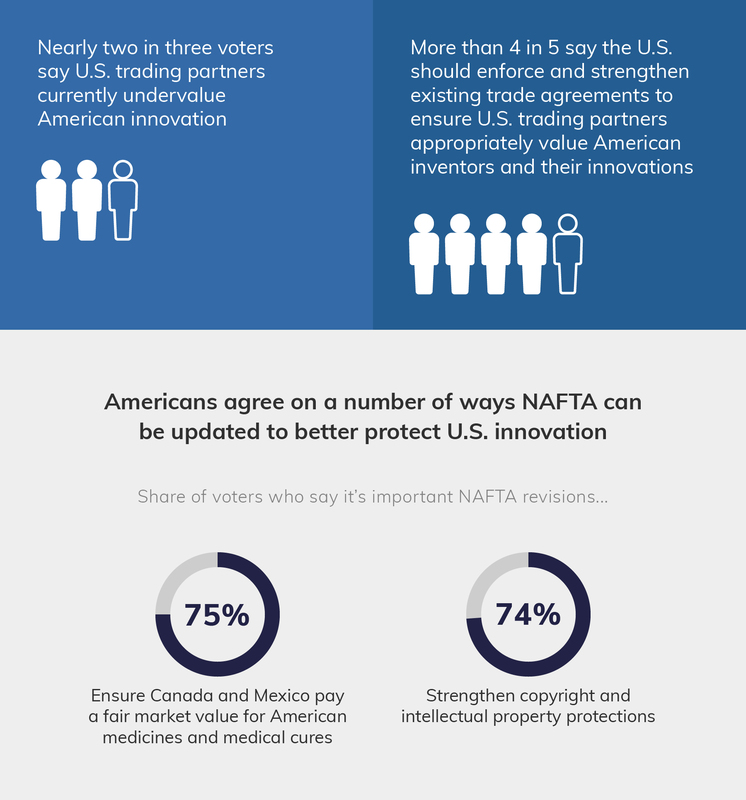 Nearly two in three voters (63 percent) say U.S. trading partners undervalue American innovation. Yet Americans agree there are a number of ways that NAFTA could better protect U.S. innovation. For instance, 75 percent of voters believe it is important that the trade agreement be updated to include provisions to ensure Canada and Mexico pay fair market value for American medicines, and 74 percent of voters believe it is important that NAFTA be updated to strengthen protections for copyrights and intellectual property. Nearly nine in 10 Americans (86 percent) say that continued innovation is important to ensuring the United States stays competitive in the global economy. 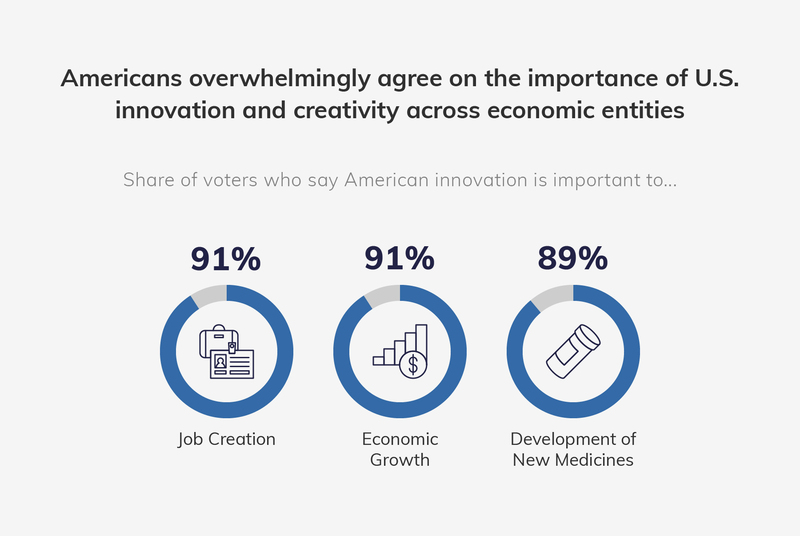 Nine in 10 Americans agree that American-made innovation and creativity are important to job creation (91 percent), economic growth (91 percent), and the development of new medicines and treatments (89 percent). Morning Consult conducted a national online survey of 1,986 registered voters from January 11 – 14, 2018. Results from the full survey have a margin of error of +/- 2%.